The tripod of Oracle database as a service (DBaaS) rests on the strong legs of Oracle Multitenant as the enabling database architecture; Oracle Enterprise Manager for orchestration; and Oracle’s engineered systems, such as Oracle Exadata and Oracle SuperCluster, as the consolidation platforms. This total solution from a single vendor is unmatched. 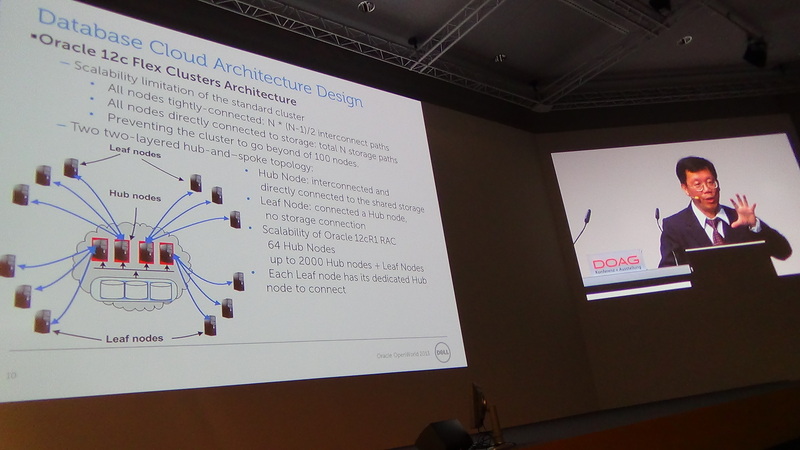 This session explores in detail various key capabilities of the multitenant architecture that deliver on the promise of DBaaS today. 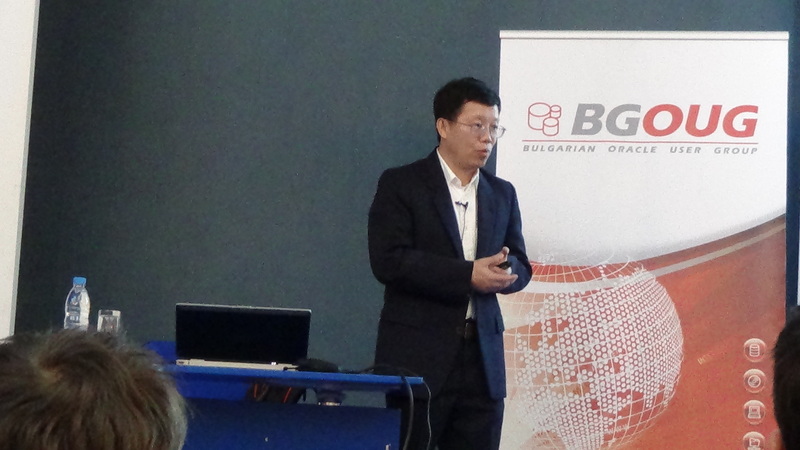 In November 2013, I took a trip to Europe to present at two great Eurpoean Oracle user group conferences : DOAG (Germany Oracle User group conference) and BGOUG (Bulgaria Oracle User Group) Autumn conference. Although it was my first time to attend them, I had a great time at these two conferences. At the conferences, I got chances to my knowledge in these two great Oracle commuities and also learned a lot and had a great time networking with colleagues and friends. 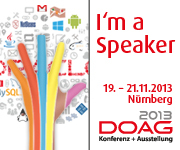 DOAG 2013 was held in the Germany historical city Numberg. It was one of the largest Oracle conferences in Europe, attended by more than 200o Oracle professions from Germany as well as other Eurpoean countries. Most speakers were also from Europe or USA. Many of speakers were Oracle ACE Directors or Oracle ACE and well known experts on their areas. Oracle Corporation also sent a good number of product managers and technical experts to present the latest changes of the technology. One of the sessions that I attended was the Oracle In-Memory columnar Option session presented by the Oracle In-Memory columnar Option product manager. This presentation gave more detailed information about this latest Oracle 12c new feature than the similar one that was gaiven at Oracle OpenWorld 2013. The session contained the presentation as well as a detailed live demo. 2. Achieving Availability and Scalability with Oracle 12c Flex Clusters , 11/20/2013 : 1:0-1:45pm,The Nuremberg ConventionCenter (NCC), Nuernberg, Germany.